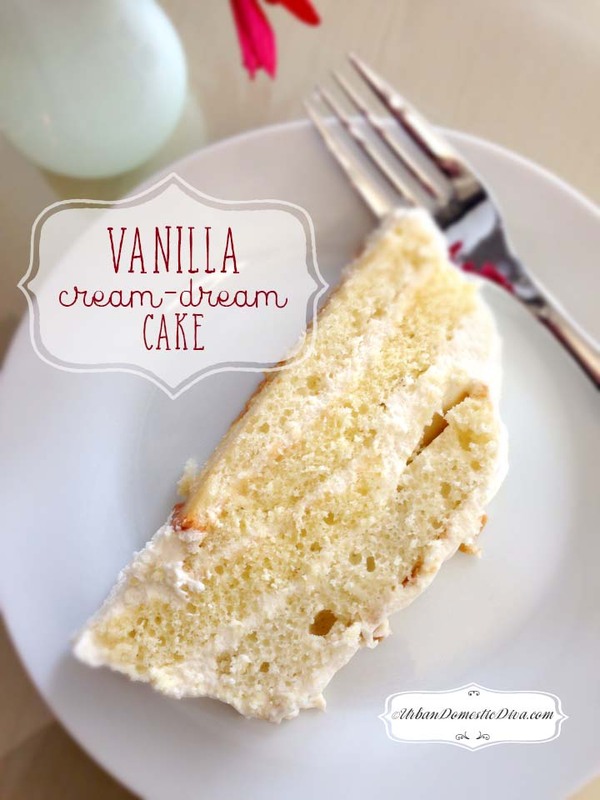 I had some left over cake recently from the bomb cake recipe I made in October. I froze the thin layers, thinking I could use the cake at a later date. The problem with freezing things is freezer space-and cakes do take up a bit of room. Hubby was complaining how much room my holiday cookie batter and the cake layers were taking, so I needed to make something quick and fast to use up some cake. 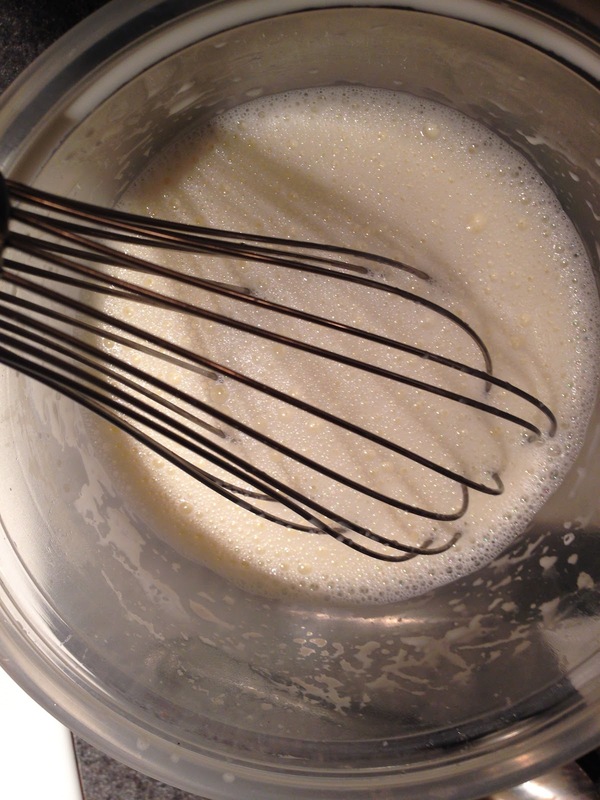 Enter whipping cream-magic deliciousness whipped up in no time. Adding gelatin stiffens up the cream, making it easy to work with and keeps the cake together in a more solid manner. 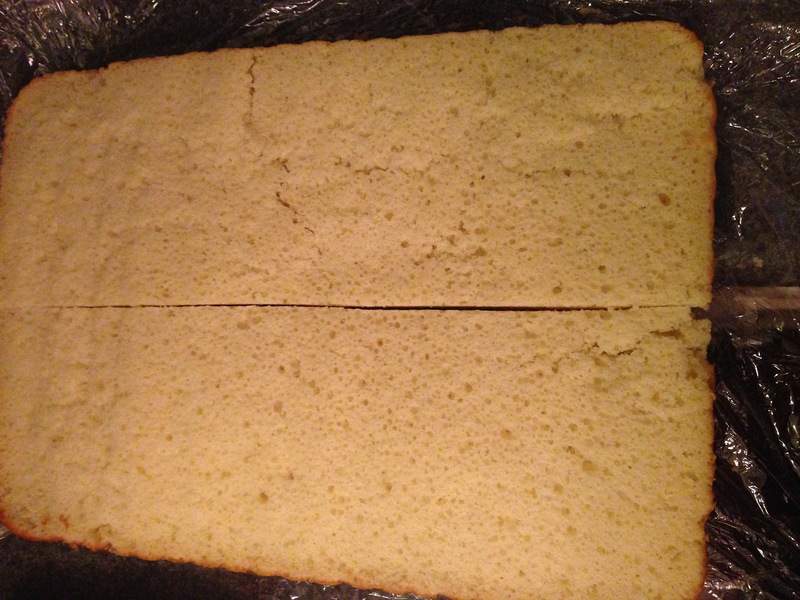 The thin layers of cake are lighter on the filling too, so cream doesn't seep out everywhere once assembled. 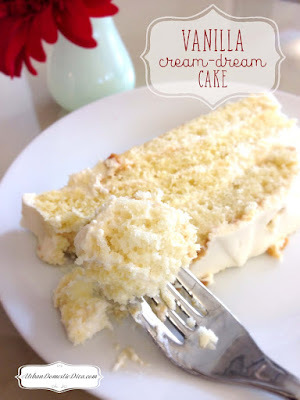 The cream filling is adapted from an Epicurious recipe but the idea for the cake is all me. I brought the cake to my coworkers and one of the comments was "I want to swim in it or take a bath in it." It's that good! Sometimes the simplest of ingredients make the best food experience. 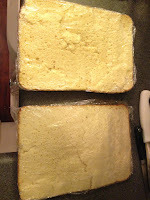 1 butter yellow cake or white cake mix, baked according to package directions in a 13 x 9 baking pan. 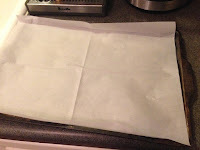 Then sliced horizontally and wrapped in plastic wrap until ready to use. That will you give you two thin layers. Place 4 tablespoons cold water in small bowl. Sprinkle unflavored gelatin over; let stand 10 minutes to soften. Bring 1 cup cream to boil in heavy small saucepan. 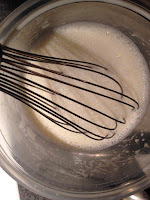 Add hot cream mixture to softened gelatin; stir until dissolved. Place in refrigerator just until cold, whisking frequently. Make sure it's cold. If it's too hot it will take longer for the cream to set. 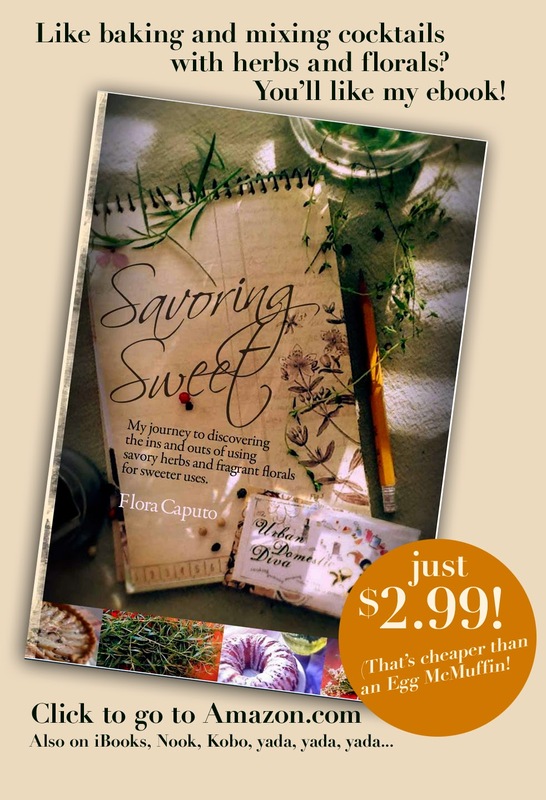 Place remaining 2 cups chilled cream, powdered sugar, and vanilla extract in medium bowl. 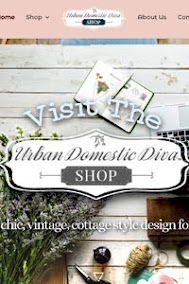 Using electric mixer, beat until peaks form. 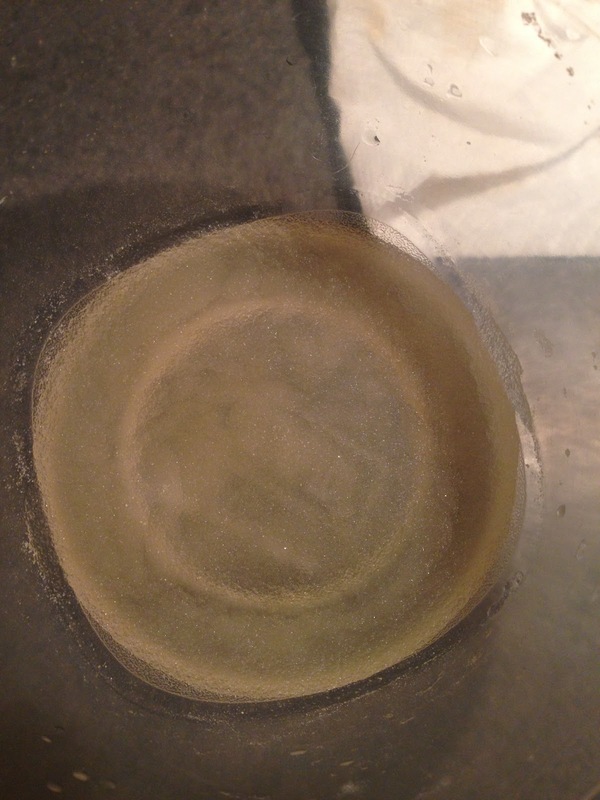 Add gelatin mixture slowly and beat until peaks form. If the cream is not setting or firming up, set in the fridge to chill for about 30 minutes until it's stiff and spreadable. 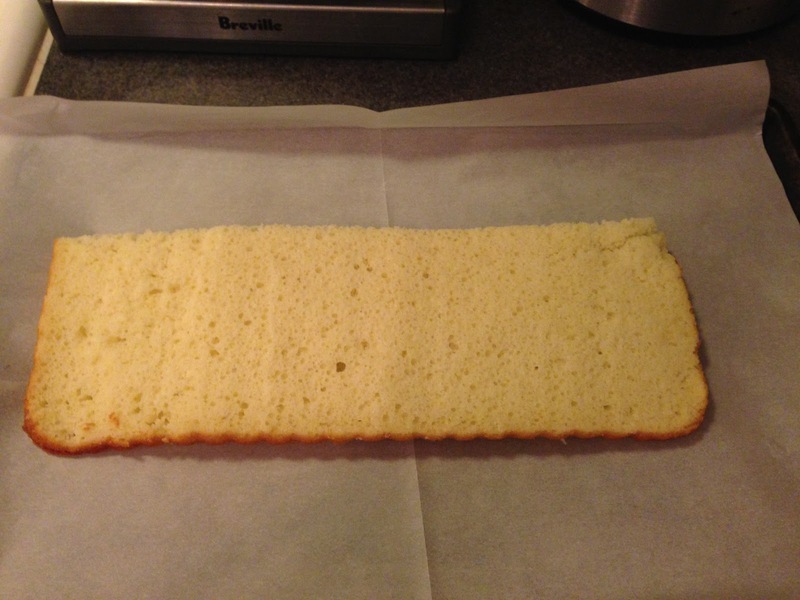 Slice each thin layer of cake down the middle so you have two long rectangles, 13" long and 4.5" wide. 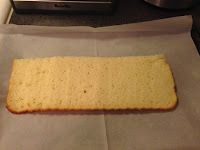 Using a spatula place 1 long cake strip on a 13 " cardboard rectangle or parchment covered baking sheet. Spread about 1/4 of filling over. Top with second cake. Spread remaining filling over. 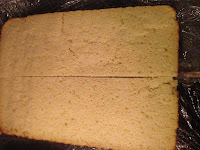 Top with third cake. Fill, then cover with the last cake layer. Cover the top and sides with the vanilla cream. Cover loosely with plastic wrap. Chill on cardboard for 3 hours, until cream is set.